Two years ago I wrote about the problems I was facing post-launch. I thought it’d be interesting to revisit this article and see how I’ve solved those problems or if they still exist. In 2016 I asked the question, “Should I compromise on With Jack’s ethos to give my customers access to cheaper premiums, or do they value convenience and simplicity more?”. I was asking this because I had the option to work with a cheaper insurer than the one I launched with. I had a few concerns about it. To me it was a no-brainer. I should work with the insurer whose onboarding was slicker and had a good reputation for paying out claims, even if it was a more expensive product. 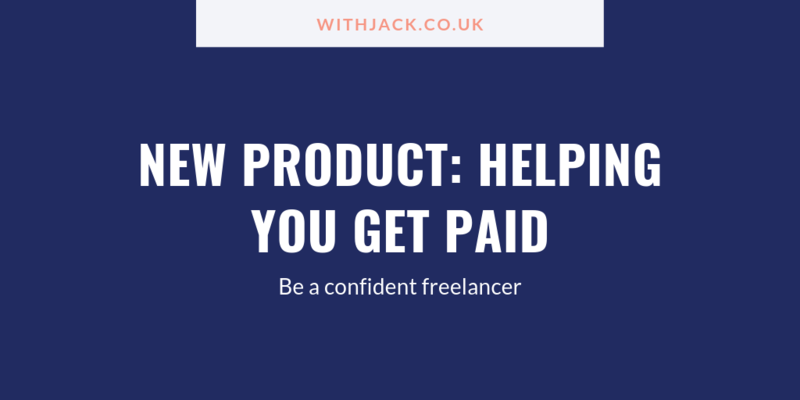 It was important to establish With Jack as the best fit for freelancers, and that meant being mindful of the insurer I partnered with and carefully selecting the product I sold. Customers shouldn’t just have a nice experience when buying insurance. Their insurance should come through for them if they ever need to make a claim. Post-launch, the harsh reality became evident quickly. Most people don’t perceive the value of insurance, which means price is the top of their list when shopping around. Even though I didn’t want to be known as the cheapest or judged purely on price, I knew I was battling a price-driven mindset that’s been established for years. Fortunately, the insurer established a better price point because of the feedback I was getting about price. They dropped their premiums by half in some cases. The more business I bring them, the more scope I have to negotiate and make adjustments that better suit my customers. I’ve never regretted that choice. We’ve since had several customers make a claim and I have confidence in the way they’re handled. My customers are in good hands and that’s the most important thing to me. Yes, there are competitors undercutting me and I lose some sales to them. There always will be. But it’s doubtful that—unless they have the volume to sustain that—they’ll be in business long-term. I still battle issues with pricing, but I think that will always be part of this industry. 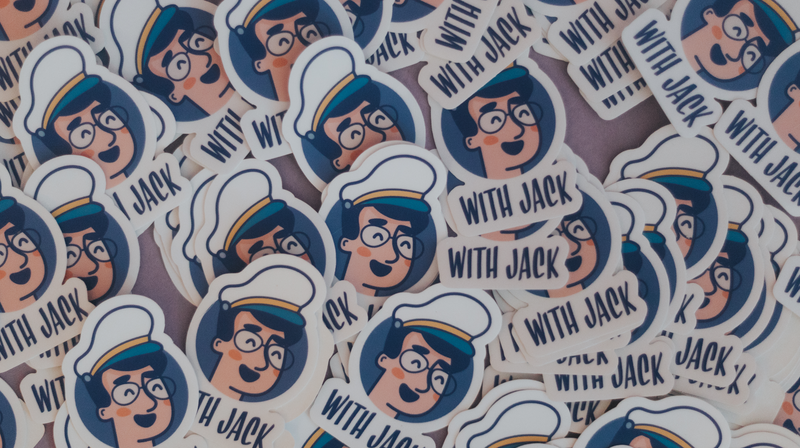 The goal is to bake more value into With Jack so people aren’t exclusively focused on price. In fact, I didn’t ship instant quotes until last month. This means the leads that now come through the system are likelier to convert, instead of those just shopping around. I knew things would feel quieter when we shipped instant quotes. There’d be less work for me to do on that front. But that’s a good thing—it frees me up to focus on the work that will bring people to the site. We’re one step closer to automating the whole customer journey and removing me entirely. Despite there being less work involved, it’s still tricky balancing everything as a solo founder. Admin, sales, marketing, customer support… I do it all and some days it can be rough. That’s not even factoring in the emotional burden of being a solo founder. I wrote about this recently. There’s nobody to pick up the slack so you can get the rest you need to recharge your batteries. Again, I think this is another problem that never goes away. Shipping instant quotes may mean I’m freeing up my time processing all of the dead leads that come in, but there are still a lot of plates to keep spinning. 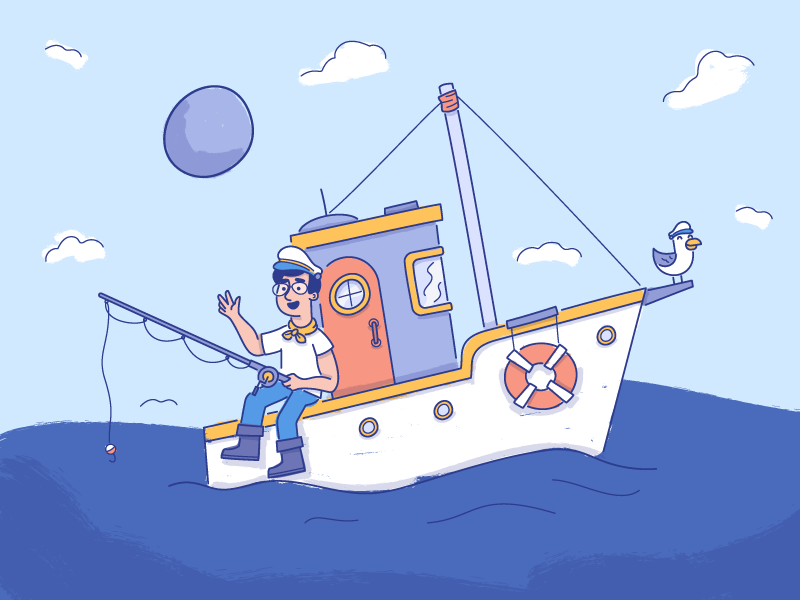 Automating part of the customer journey is a step in the right direction because it removes me from a time-consuming part of the business, but being a solo founder will always have its challenges. I thought this would be my biggest problem post-launch. In hindsight, it’s not been as big a problem as I’d imagined. And there I was. Launching with just one product (professional indemnity insurance) and manually processing quotes. How would I ever compete? Two years later it’s clear I could compete. I’ve built a business. I’ve signed up hundreds of customers, added more products to my line (and will continue to do so), shipped instant quotes with lots more features to come. 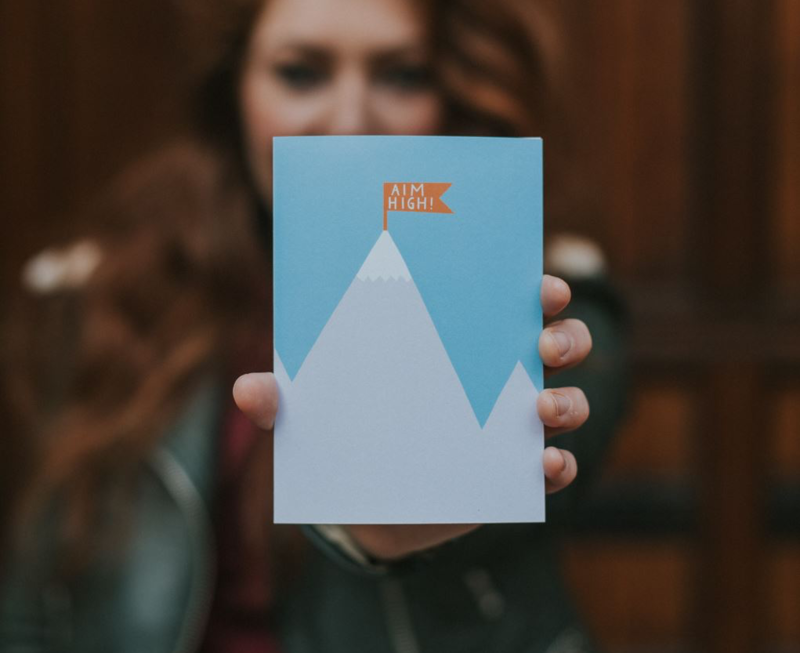 I think a lot of what helped me get through the first year as a new business was the work I’d put in beforehand. In the years leading up to With Jack, I attended and spoke at web conferences and meet-ups. This helped me build a small network of people in that world. 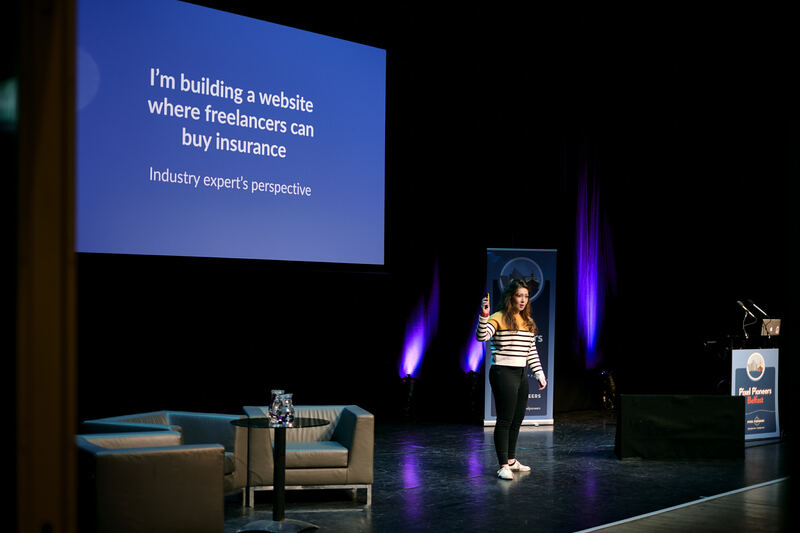 Speaking at Pixel Pioneers in Belfast. When it came time to launch With Jack, many of these people were my first customers or helped to spread the word. I wish I’d put more effort into that, because I would have had an even stronger start. I’m moving into a new stage of With Jack’s life. 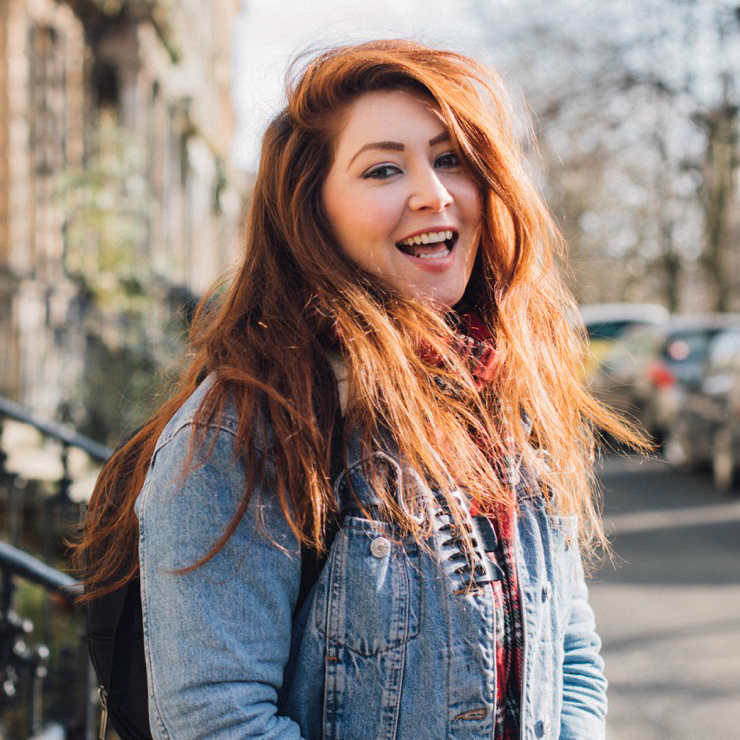 Whilst some of these problems may not be as profound as they were two yeas ago, there are other obstacles as a result of being in my second year. Remain Bootstrapped or Take Investment? This is on my mind every day now I’m in my second year. I’ve proven I can build a business. 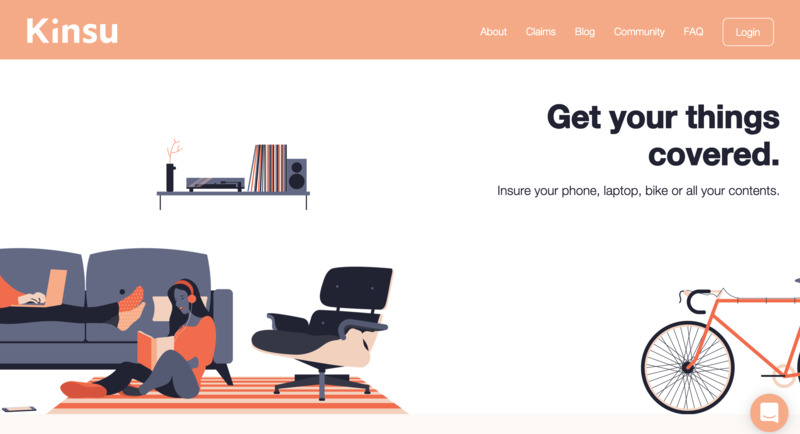 With Jack is shipping £10,000+ of insurance products a month. What next? My heart says to remain bootstrapped, but the reality is I’m not moving quickly enough with features and products. An opportunity recently arose that I could only take had I sought investment. I’m aware that I’d be building a very different business if I chose investment, and that’s what I’m apprehensive about. Bootstrapping With Jack means I can always put my customers at the centre of the decisions I make. I’m worried that taking investment means the goal posts shift and you have people involved with a conflict of interest (i.e. customers aren’t at the centre of decisions—ROI is). I’m hoping that 2019 will see me make my first hire. This is new territory for me and is terrifying. It makes the business even more real. I’ve worked for myself and on my own for 10+ years. Whilst making my first hire would be an exciting step forward, it would bring new challenges.